Laura Umansky of Laura U Interior Design has been my interior designer and close friend for over six years now! And you’ll likely be seeing a lot of Laura and her design skills around here this year. As I mentioned here, Elle and I moved into a new house a few months ago. And I’m so excited to make this house a home – with the help of Laura and her amazing team. 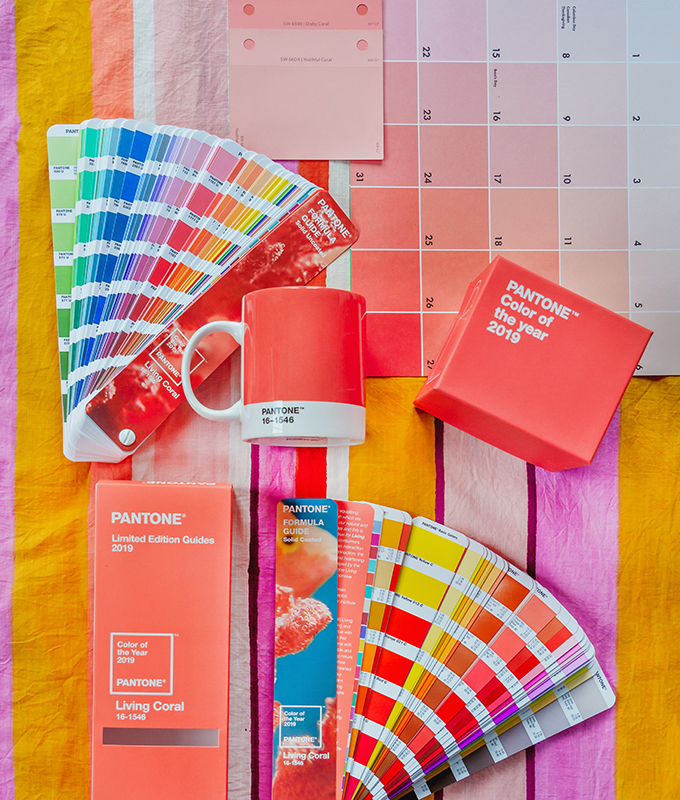 Every year since 2000, Pantone has released their “Color of the Year” and every designer takes notice. This year’s color is Living Coral, a playful hue reminiscent of sun-soaked beach houses and the feeling of your toes in the sand. Just talking about it is making me want to book a flight to the nearest sunny destination stat! If you love Living Coral, there are so many ways to indulge (without the vacation!). But first things first. I always recommend taking a step back when considering a new design trend. How much do you love it? Enough to cover a whole wall? Or maybe just enough for a decorative fixture? Whenever I embrace a trend, I want to be sure that I can transform it into a timeless staple of my home. With a versatile color like Living Coral, that should be easy! 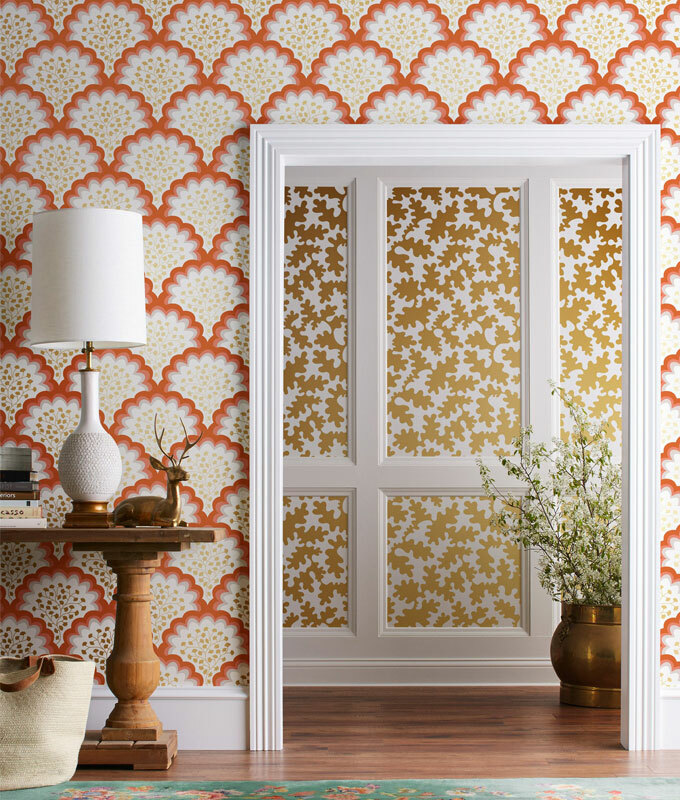 If you can’t get enough of the hue, I advise you to go bold with a Living Coral wall covering. This is exactly how Pantone revealed the color during Art Basel Miami Beach. 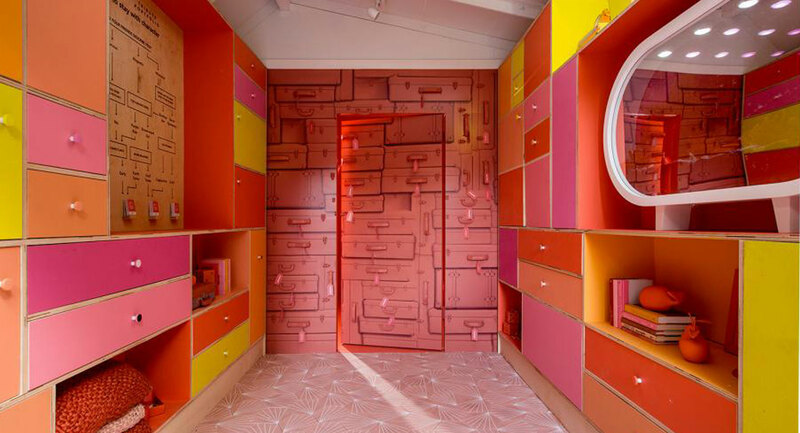 Perfectly paired with bubblegum pink and bright yellow, the Pantone Pantry was a reminder that Living Coral is accessible beyond its oceanic origins. 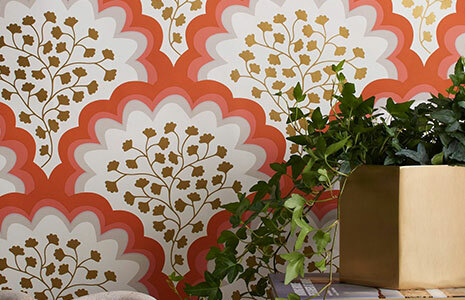 If you’re not sure about Living Coral invading so much space but still like it on your walls, I recommend installing a wallpaper with just a touch of the color like this one from Hygge and West. This light-hearted color would look fabulous in your own pantry. Or, in a girl’s bedroom, where it acts as a punchier alternative to rosier shades. Now it could be my chair obsession talking but you can add a chair to any room at any time. This is one of my favorite ways to stay on trend, while working with your existing furnishings. Perfectly paired with oceanic blues and greens or sandy-colored beiges, Living Coral lends some excitement to more serene color palettes. This is why a statement chair works so well. It brings some energy! Punch up your living room with a Living Coral chair and matching footrest from Koket. 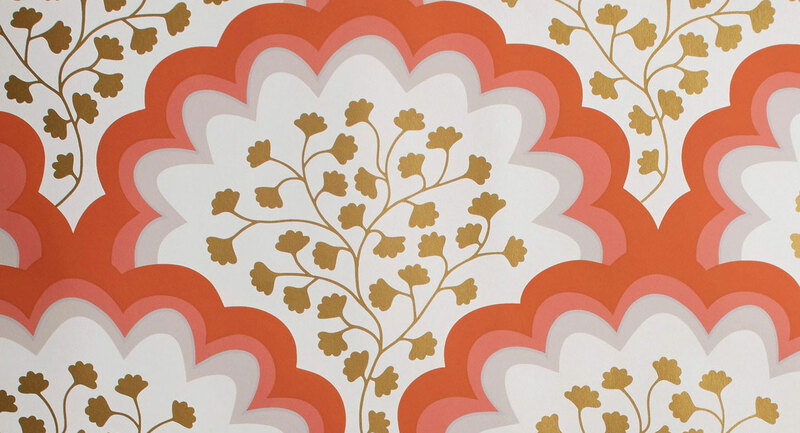 Living coral is a fun hue that reminds me of glamorous beachfront hotels. The Breakers, an iconic hotel in Palm Beach, has been decorating their suites with this color for decades. It is classic, timeless, and glamorous. But don’t shy away if your home is warmer, with an earthy, grounding color palette. Against darker wood floors and evergreen shades, Living Coral takes on a new sophistication that doesn’t make you think beach. I’m thinking comfort and romance. 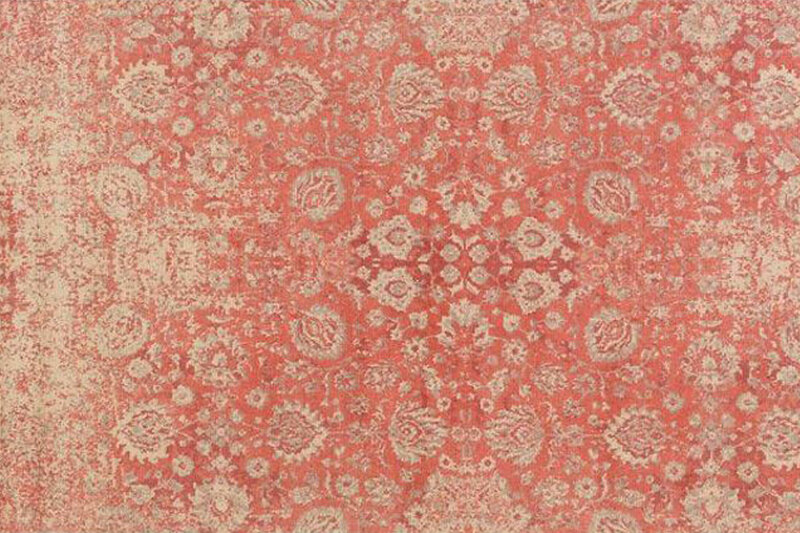 Rugs are going to be THE place to see Living Coral in 2019. I particularly like this one from One Kings Lane. Decorative pillows provide a lovely canvas for experimenting with new colors. 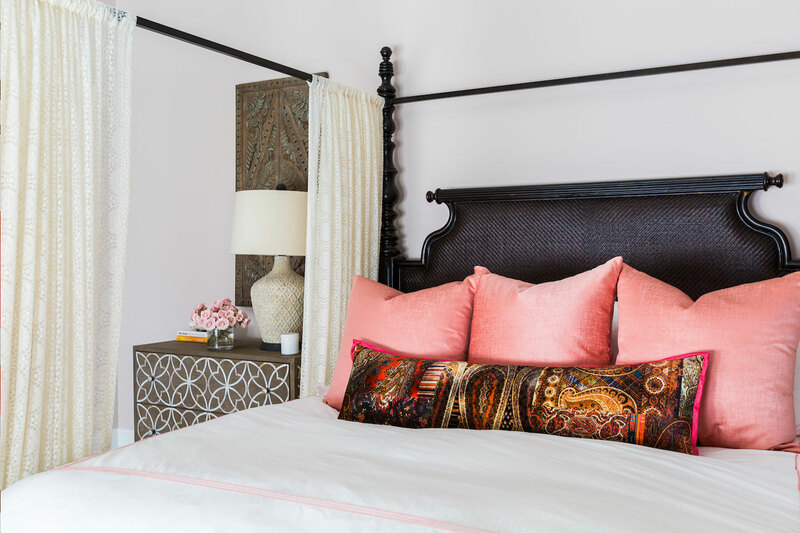 Wrapped in sumptuous fabrics like velvet and satin, pillows in Living Coral make a romantic statement. On the other hand, pillows covered in high-performance fabrics wick away stains and spills, making them perfect for high-traffic rooms. Not only will you use pillows any time you’re ready for a relaxing nap, but the investment can be short-lived. Maybe you’re feeling Living Coral today, but by September, you’re ready for the next trend. I love it when beauty meets functionality! My Classically Current design philosophy embraces timeless design, while adopting modern touches. As a result, I don’t always bend to the newest design fad, unless I’ve absolutely fallen in love with it. For now, I’m personally keeping Living Coral to just my nails. But then my chair obsession starts going and I can think of at least three rooms that need a new one…and Living Coral would look fab! Hi Carrie! 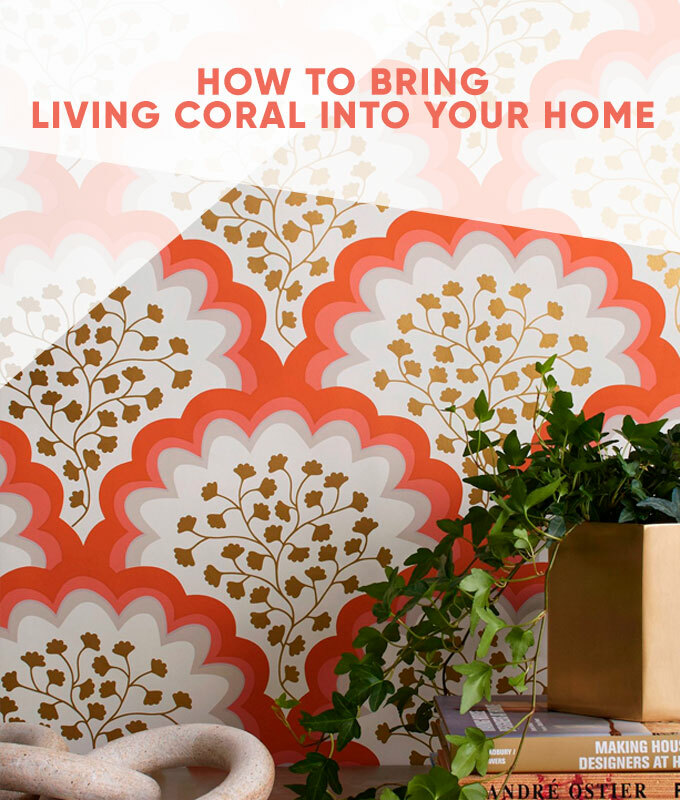 I really like this living coral colors that you’ve chosen into your new home. I think it really suits you, it’s super girly and so fab. I’m trying that living coral as my interior paint for my living room too. I bet my wife would love it. Thanks for these ideas. BTW where did get those coral decorative fixtures? We love florals in the fall.